in mano cominciò a sanguinare, bagnando il corporale e macchiando il marmo del pavimento. Il corporale segnato dal miracolo fu portato in processione a Orvieto, dove risiedeva Papa Urbano IV che, l’11 agosto 1264, promulgò la Bolla che istituiva la festa del Corpus Domini, immortalata nell’insuperabile affresco di Raffaello nelle stanza vaticane. Da non perdere la solenne processione che si snoda ogni anno a Bolsena, per la festa del Corpus Domini, lungo le vie del borgo sopra un tappeto di artistiche infiorate lungo ben tre chilometri. Inoltre il 23 e 24 luglio si celebra la festa patronale dei Misteri di Santa Cristina. Sulle principali piazze del centro storico vengono eretti dei palchi sui quali sono allestiti dei quadri viventi, rappresentazioni sceniche affidate ai cittadini bolsenesi che, vestiti con costumi di epoca romana, muti ed in posizione statuaria, rievocano i misteri, ossia i momenti dei martiri cui fu sottoposta la giovane Santa. Bolsena vive anche di turismo ed è metà di molti villeggianti, spesso stranieri, che affollano tutto l’anno il borgo e le rive del lago. Directly on the shores of picturesque Bolsena Lake, the largest among those of volcanic origin in Europe and fifth largest in Italy, Bolsena, city of miracles, the home of Corpus Christi, is a place of beauty and charm, situated in the center of the Volsini Mountains. The history, traditions and art of Bolsena are linked to stories of Santa Cristina, daughter of the prefect of the city at the time of Emperor Diocletian, who just 11 years had embraced the Christian faith against the wishes of his father, who ordered for this to put to death. The body of the Holy ended in1078 in Christian catacombs beneath the temple that later became the collegiate church of Santa Cristina, a Romanesque church of the eleventh century, with a superb bell tower of the thirteenth century which stands on three floors of windows. Tied inextricably to the burial place of Santa Cristina is the miracle of Corpus Domini, which occurred in 1263, when a Bohemian priest, Peter of Prague, as he celebrated Mass, was seized by doubts about transubstantiation (the actual flesh-and-processing blood of the consecrated host and wine). It was then that the host that the priest had in his hand began to bleed, wetting the body and staining the marble floor. The body is marked by miracle was carried in procession in Orvieto, where Pope Urban IV was residing, that the August 11, 1264 promulgated the Bull which established the feast of Corpus Domini, immortalized nell’insuperabile fresco by Raphael in the Vatican Stanze. Do not miss the solemn procession that winds its way each year to Bolsena, on the feast of Corpus Christi, the streets of the village on a carpet of floral art along three kilometers. Also on 23 and 24 July we celebrate the feast of the patron of the Mysteries of Santa Cristina. On the main squares of the historic center of the boxes were erected on which they are prepared for living pictures, stage performances bolsenesi entrusted to the citizens who, dressed in Roman costumes, dumb and statues in place, evoking the mysteries, namely the moments of the martyrs which was Santa brought the young. 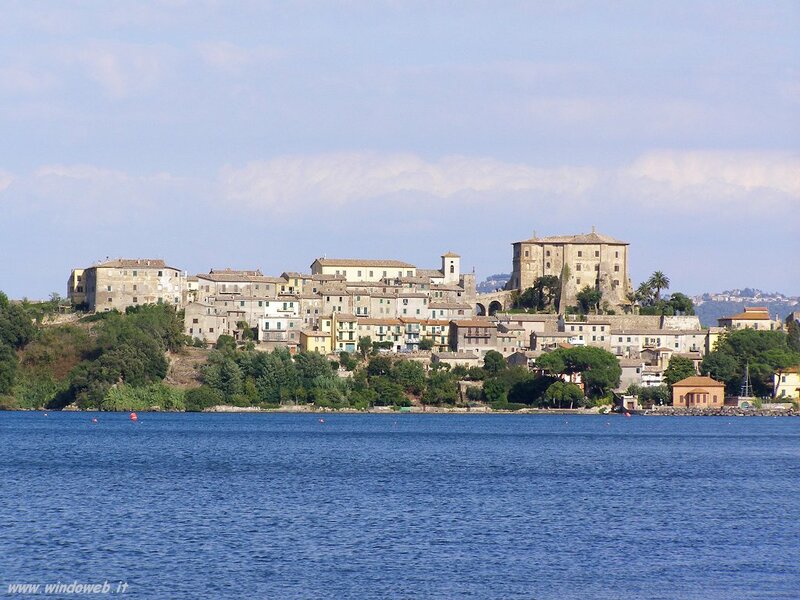 Bolsena lives of tourism and is also a destination for many vacationers, often foreigners, who flock to the village throughout the year and the banks of the lake. I needed to ask. Does operating a well-established website like yours take a massive amount work? basis. I’d like to start a blog so I can share my experience and feelings online. Please let me know if you have any recommendations or tips for brand new aspiring bloggers. Thankyou! rather liquid and also natural teas are the best options. and wound up here Visitare Bolsena – visit Bolsena | In viaggio nella Tuscia. And I do have a couple of questions for you if it’s allright. Could it be simply me or does it give the impression like a few of these responses come across as if they are written by brain dead visitors? 😛 And, if you are writing at additional social sites, I would like to follow everything new you have to post. Could you make a list of all of all your community pages like your Facebook page, twitter feed, or linkedin profile? come si sta a dondolo un Nexus 6, ti augurocon tutto il cuore dare la tua scheletro a Google.